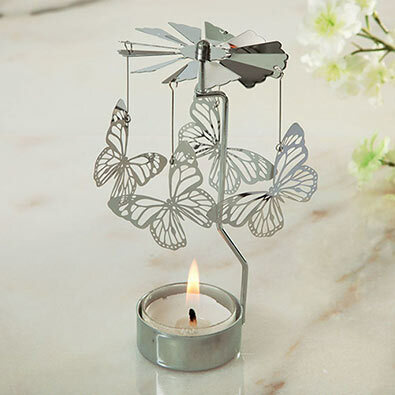 Light up a special corner of your home with our delightful butterfly candle spinner. Place a tea light candle in the base and as the heat of the candle rises, the fan rotates, spinning the butterflies around. Stainless steel. A perfect home accent or special gift. 13cm tall, candle not included.